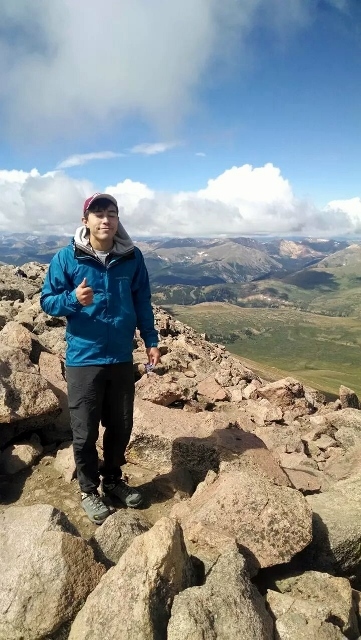 Joseph, a Boulder native, is an undergraduate in the Department of Molecular, Cellular, and Developmental Biology with a flair for active pursuits and the arts. In the Tripp Lab, he is currently working on a project in collaboration with the COLO Herbarium (co-advised by Collections Manager Dina Clark) regarding phenotypic variation within the Amorpha nana species complex. This “species” has been treated as a single entity in western North America, but populations in southern Colorado are morphologically divergent from other populations elsewhere in Colorado. Joseph is using his MCDB skills to test whether these phenotypic differences are underlain by molecular differences or can instead be explained by environmental / other influences. Joseph’s academic interests include bio- and organic chemistries, genetics, and medicine, and he hopes to continue furthering his education in the life sciences after graduation. In his free time, he likes to hike, play/watch hockey, and discover tasty new micro brews.